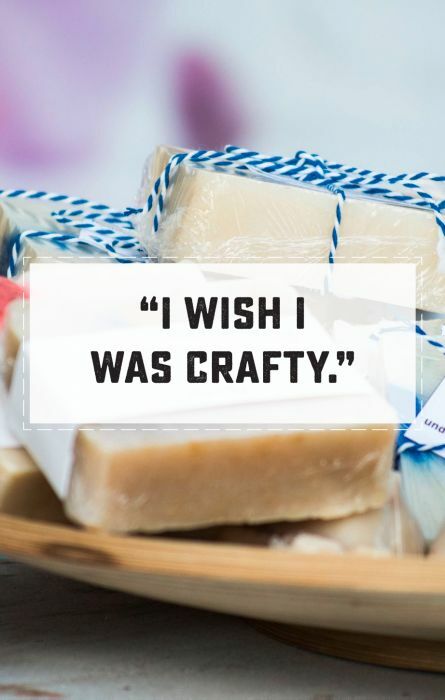 Having a craft blog, and working for an international crafting company – I often have the opportunity to talk to other people about crafting. Everything from sewing to card making, poly clay to jewelry, home decor DIY and home made beauty products. 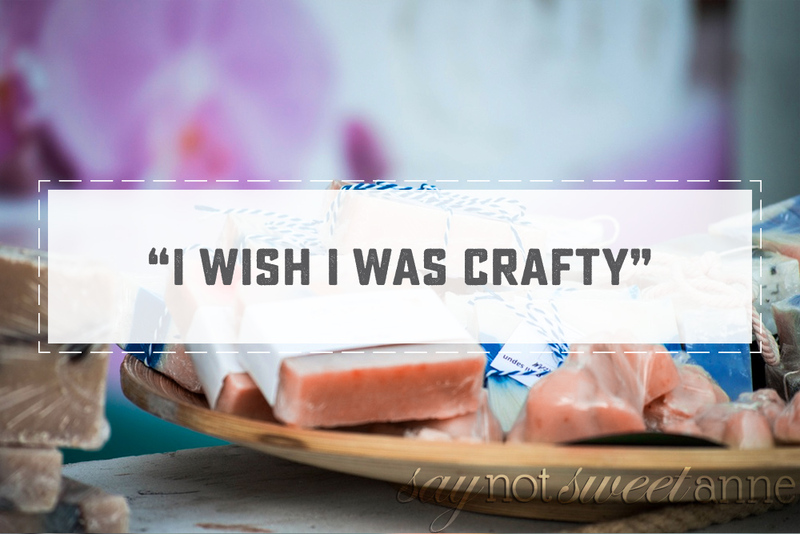 The crafting hobby has had a huge upsurge in the past few years (Hello – Pinterest anyone?) and as such, a lot of people have become interested in it. I for one am over the moon about that. I’ve already shared some of my personal reasons for crafting in this post, but there are so many benefits for the hobby, I can’t list them all here. Crafting is becoming a popular way for people to connect, to use their creativity, and to make and give beautiful things. For each person who tries a craft, however, there are several who feel like they can’t even attempt it. “I wish I was crafty, but I’m not,” they say. I typically nod my head and say something polite and encouraging but in my mind I’m often thinking, “have you tried?” Crafting, the concept of creating with your hands, is something anyone can learn. It doesn’t require vast education or a background in art history. In fact, all crafting really requires is that you try it. Stick your neck out and give it a shot. These un-crafty people haven’t been given that title by the powers that be. The Goddess of Crafting hasn’t stripped them of their ability to make things. No, its something they’ve labelled themselves with. For some – they know their time or interests are better served elsewhere, and they say these things in acknowledgement of that fact. But for the few who really want to be crafty – these phrases reinforce their non-craftiness. The idea of being outside of an elite circle of “crafty people” becomes a barrier, keeping great makers from enjoying their craft. I feel sad for those people. Everyone who has the interest should be able to take a chance on crafting! It is true, of course, that there are tricks and skills of crafting that we pick up over time. I have various bits of knowledge from all sorts of random things tucked away in my brain, accumulated from years upon years of experience. Let’s not forget the value of failed attempts, either. I’ve learned just as much from broken crafts as I have from beautiful ones. Once you learn a few skills, something amazing happens. You begin to use those skills in ways you haven’t seen before. You begin to create your own techniques instead of following tutorials verbatim. You branch out, explore and begin to realize your full potential. The next thing you know, you are “crafty”. The same goes for a LOT of hobbies. Can’t play racquetball? Start playing, and you’ll get the hang of it. Not very good at gardening? Start gardening. You’ll learn the ins and outs, and eventually you won’t kill everything you touch. It is about choice and commitment, people. Make a choice to do something you are interested in. Commit to learning it, even if you aren’t any good. As they say, practice makes perfect. 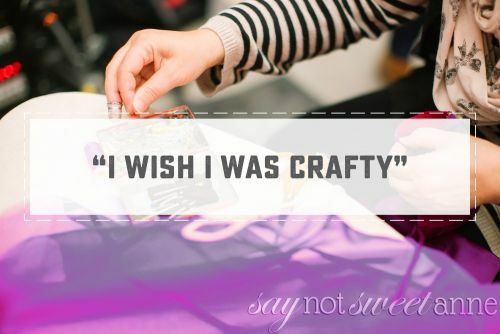 Instead of nodding, next time I hear someone lament their lack of crafting prowess – I’m going to be blunt about it. You can be crafty, if that is what you want. If you think it is a worthwhile endeavor, then grab some supplies, a tutorial or two and get to work. It will be challenging, it might be ugly at first, but it will probably be fun. May the Goddess of Crafting smile upon you.